Live in the moment for the future is what motivates us. Whispers of Time tells a tremendous tale of consciousness and reflection with key portions of Italian Bergamot and Orange Flower LMR mixed with Ginger and Cedar Wood. Collections of forgotten snapshots proves patience and time produce happiness and growth. The House of Sillage pays homage to the artistry, traditions and craftsmanship of the classic parfumerie, while transcending modern conventions. Our unique ingredients and time honored attention to detail with jewelry and Swarovski crystals, tailors a customer experience that is unmatched and unrivaled in the industry. Each House of Sillage piece is a spectacular collaboration of highly skilled specialists creating timeless products that evoke the best of memories with an everlasting emotion of pure happiness and sophistication. 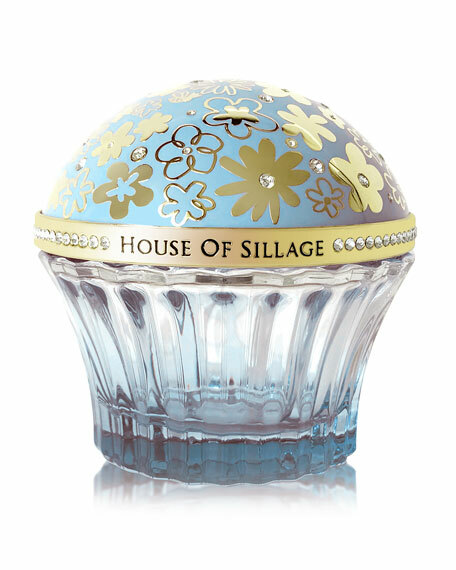 House of Sillage captures the essence of luxury from the moment you see or sample our Haute Parfumerie or Haute Cosmetique collections. Our signature women and men's fragrances transport you to an exciting destination that makes you feel alive and adventurous for life. Our avant-garde lipsticks give women the power to capture a room while confidently exuding femininity and playfulness. Our brand is a storytelling symbol of beauty, boldness and belief, all wrapped up in an opulence and wisdom that encapsulates the experiential chapters in our lives we cherish and admire.